Location good- mosque, pharmacy, sweet shop, grocery within walking distance. Opposite side of the street there is a museum . They showed us two rooms to choose from .. very grateful for that. The first there was a cockroach in the kitchen. Staff at reception, Location, size of the apartment. Nothing I liked here I will never visit Al Massa Apartment 1. A wrong choice I made by selecting this apartment for my stay. Staff in reception and housekeeping is very polite and helpful. Al Massa Hotel Apartments 1 This rating is a reflection of how the property compares to the industry standard when it comes to price, facilities and services available. It's based on a self-evaluation by the property. Use this rating to help choose your stay! 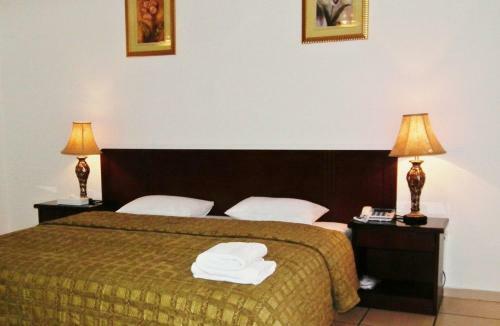 Located a 10-minute from Al Ain International Airport, this hotel has air-conditioned accommodations with a satellite TV. Free public parking is available on site. 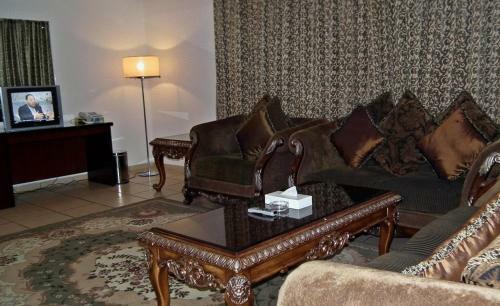 All rooms and apartments at Al Massa are decorated in dark hues and have a tile floor. Each one has a living area which includes a tea/coffee maker. 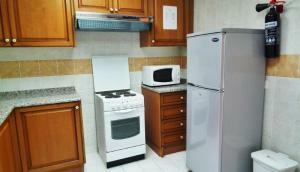 The apartments feature a large kitchen fitted with a 4-stove stove, a refrigerator and a washing machine. Guests can also request for laundry and dry cleaning services at the front desk. Al Massa Hotel Apartments 1 is a 10-minute drive from downtown Al Ain. It is just over 1 miles from Al Ain’s main shopping malls and restaurants. 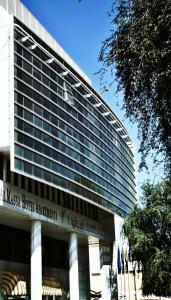 When would you like to stay at Al Massa Hotel Apartments 1? This studio features a dining area, kitchenware and microwave. 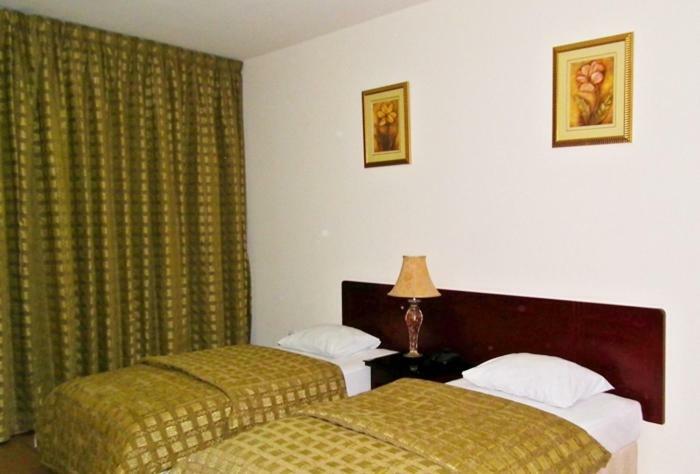 This studio offers 1 double bed. House Rules Al Massa Hotel Apartments 1 takes special requests – add in the next step! A AED200 damage deposit is required on arrival (around USD54.45). This deposit will be fully refunded at check-out, as long as there isn't any damage to the property. 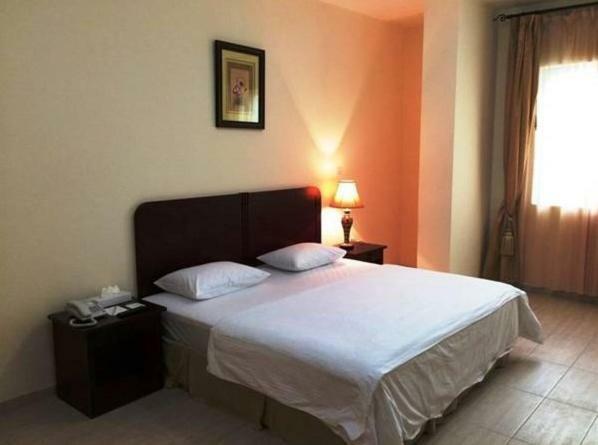 All children under 6 years are charged AED 115 per night for extra beds. Any additional older children or adults are charged AED 115 per night for extra beds. Al Massa Hotel Apartments 1 accepts these cards and reserves the right to temporarily hold an amount prior to arrival. Please note that guests must present the credit card used to make this reservation upon check-in at the hotel. Cash payment cannot be accepted. A damage deposit of AED 200 is required on arrival. That's about 54.45USD. This will be collected as a cash payment. You should be reimbursed on check-out. To be honest, its good but the problem is the water inside kitchen and bathroom continues flowing makes the floor dirty. Its leaking continuesly and clogged the water in the sink. Place is good, room wide spacious and quite. Very bad experience for sure i will not stay on this place again, i can't say the staff ware friendly the room service was slow and inefficient as they had one person to provide the room service according to recipient staff comments. At the room found the Windows did not close properly it was leaking cooled air at night and leaking also the noise from outside the main road , and half of the kitchen appliances was not functional, the water heater at the path quickly runs out hot water, and with regards to cleanliness and hygiene level i will say zero. No complimentary water was provided and no towels was provided. It was freezing cold in the rooms and switching off the A/C didn't help. Toilet was so bad, whole floor water from pipe leaking,second toilet stinks. I will not stay, even hotel offers to stay for free. Booking.com must not sell this unhealthy, non-standard products. They sold my room to someone else right front of me. They gave me lower room category. They were under impression that I don't speak or understand arabic. Dirty room. No towels available, when asked the answer is they are full and towels will be delivered to room 7am, until 11am no towels and we checked out without shower. 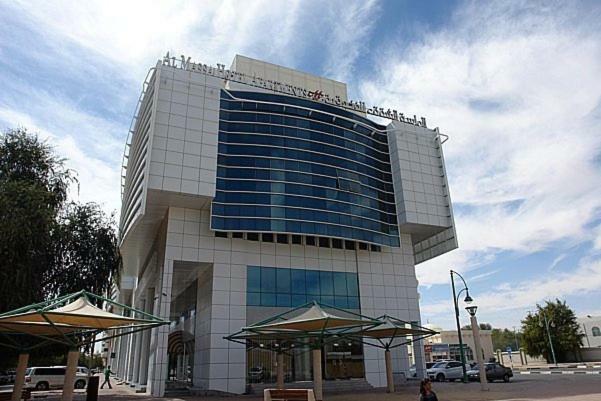 Online telephone numbers invalid. 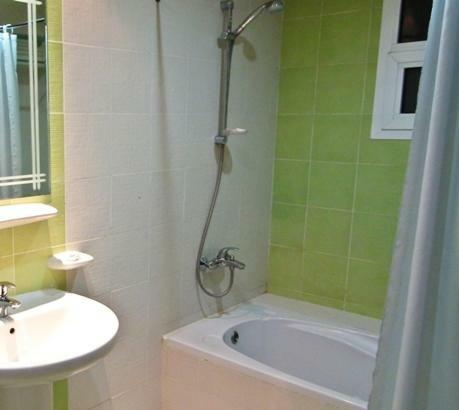 the apartment dirty, when a arrived no towel in the toilets. waiting for towel for 2 hours.. and rooms are dirt. toilet uncleaned. bad service. i will never take that hotel again. The cleanliness was horrible. The bathroom stinks such a bad smell and bathroom is full of flys. The hotel is not providing water or sleepers neither more than 1 towel.